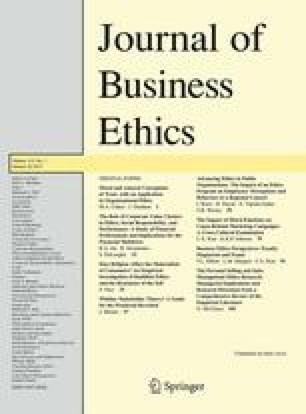 This paper investigates the effects of Buddhist ethics on consumers’ materialism, that is, the propensity to attach a fundamental role to possessions. The literature shows that religion and religiosity influence various attitudes and behaviors of consumers, including their ethical beliefs and ethical decisions. However, most studies focus on general religiosity rather than on the specific doctrinal ethical tenets of religions. The current research focuses on Buddhism and argues that it can tame materialism directly, similar to other religions, and through the specific Buddhist ethical doctrines of the Four Immeasurables: compassion, loving kindness, empathetic joy, and equanimity. The empirical results show the following: (1) Buddhism reduces materialism directly and through some of the Four Immeasurables, and (2) despite the doctrine of non-existence of the self, positive emotions toward the self are still present, and the self absorbs the effects of Buddhist ethics on materialism. The latter finding suggests a “resistance of the self” that is coherent with the idea of a consumer who leverages the self to go beyond it.